Cable for KIBO firmware update. An update is currrently required only for older KIBO robots manufactured before December 2016 to work with the new Sound Record/Playback Module. 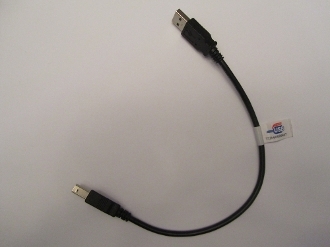 Note: This is a standard USB-A cable; any compatible cable will work to apply a KIBO firmware update.